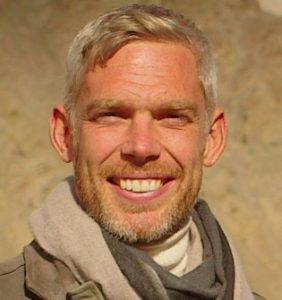 Dr Sam Willis is an award-winning historian, archaeologist and broadcaster whose work takes him on adventures all over the world. He has made 12 television series for the BBC and National Geographic, including The Silk Road and his most recent, Invasion! in which he reveals the true story of invasion in Britain over the last few thousand years. He has also published 14 books, most recently The Struggle for Sea Power: The Royal Navy vs the World, 1775-1782. His talk on Histories of the Unexpected, co-presented with Professor James Daybell, not only offers a new way of thinking about the past, but also reveals the everyday world around us as never before.